I reviewed 'Cress' about a week ago, wrote the review for it a couple of days ago, and the entire time I couldn't stop thinking about how alike me and Cress were. In fact, that was the inspiration for this post in the first place. Of course there are the obvious differences between us. Cress is a magnificent computer whiz and hacker, while I could only WISH to claim the same. The only think I know how to do is make a blog (I'm feeling kind of pathetic right now). 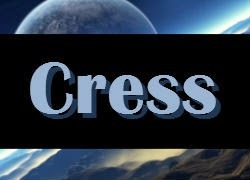 Then of course there's the fact that Cress is Lunar while I am Martian. Just kidding; I'm just a human. Not even a cyborg! 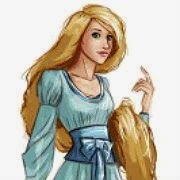 Cress has epically long hair, mine is a pretty standard length. She's obviously much prettier than me, and has a Captain as a boyfriend (gosh I really wish Captain Hook from OUAT was my boyfriend). But I never claimed that we were similar physically. Or by relationship. In reality, the only way I'm like Cress is through our personalities. Like I mentioned before, we're both relatively innocent. Also, believe it or not, we even relate through our sneakiness. Remember how Cress always watched things she wasn't supposed to watch, human shows and operas and stuff, behind her mistress's back, and then hid all evidence of it the rare times the mistress visited her? Well, I do the same thing, except with the mistress being one of my family members, and the thing I'm not supposed to watch being anything that's not studying. I'm actually doing it right now too (don't tell anyone). And then there's that time when Cress hid behind Captain Thorne when Wolfe went bonkers. I still remember that scene only because a usual heroine would do something courageous and heroic at that point; Cress did the opposite. It definitely made me like her a lot, if it didn't exactly earn her my utmost respect. I'd like to think I'd choose that moment to do the brave thing, but as far as I know, I'd be hiding behind someone's back too. It's been a while since I read the book, so of course I can't remember every moment that related me to Cress - I should have used sticky notes - but those are the main reasons I recall for believing that me and Cress were friendly souls. So which YA book character are you most like?